Like many Millennials who grew up with video games, I really love The Legend of Zelda. I’ve played almost all of the games and there are not one, but two Link Nendoroid figures holding court in my living room at this very moment. I even have a Wind Waker-era Link tattooed on my arm—and I’m planning on more Zelda-themed ink in the future. The story that Shigeru Miyamoto and Takashi Tezuka released in 1986 has grown into something I’m sure they never could have imagined it becoming. The first game was a simple fantasy about a boy named Link, a courageous Hylian, who is tasked with saving Princess Zelda. Her kingdom in the land of Hyrule has been plunged into chaos because of the evil Ganon, who invaded her lands and stole the Triforce of Power, a piece of an ancient magical artifact. In order to beat Ganon and regain order and peace, Link must undergo many trials, battles, and adventures. Of course, The Legend of Zelda truly is a legend now: now in its 30th year, the universe has expanded to encompass 18 video games (not counting spin-offs), an animated TV series, music (including its own original symphony), clothing, and beautiful collectibles like the Twilight Princess Link and Ganondorf statues from Dark Horse, or the incredibly sculpted Skyward Sword Link figure. For those of us who still like to play with our toys, the Nendoroid figures come with lots of different accessories, including weapons, masks, fairies, and more, which can be set in tons of different action poses. And, of course, there are countless print adaptations. 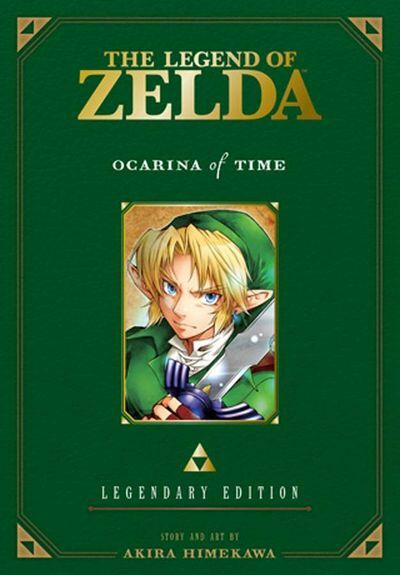 There are Zelda original graphic novels, manga series that correspond with almost every video game, novels, game books, and official companion books devoted to the art, characters, and details of the games. In 2013, Dark Horse Comics published the international edition of The Legend of Zelda: Hyrule Historia, which was a runaway success. It was so popular that it took the number one spot on Amazon’s sales charts away from 50 Shades of Grey! It’s an amazing collection of everything you could want to know about the series, all wrapped up in a beautiful hardcover edition fit for any library. It’s full of concept art, a complete history of Hyrule, an official game chronology, and an exclusive prequel comic. This was like a crown jewel in the series’ publishing history. 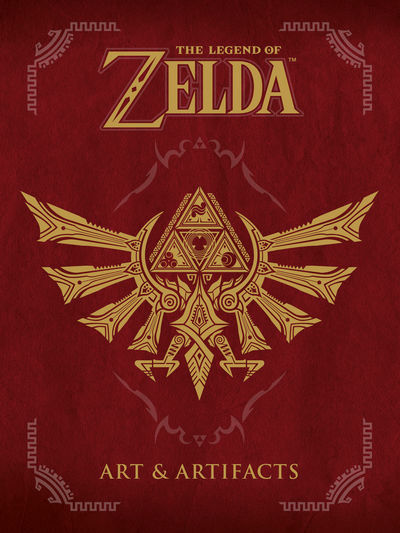 Hyrule Historia was practically an instant classic, and that’s why Dark Horse is following it up with The Legend of Zelda: Art and Artifacts in 2017. Art and Artifacts will contain over 400 pages of rare promo art, illustrations from the games, official character designs, interviews with the artists, and more. But 2017 still feels like a long ways away! So to tide us over until then, we can look forward to November 2, when The Legend of Zelda: Legendary Edition, Vol. 1: Ocarina of Time. This book is going to be AMAZING. Ocarina of Time is often referred to as a fan-favorite installment of the Zelda series, and for good reason: its memorable music, exciting action, thought-provoking puzzles, and beautiful design make it a game that holds up to our cherished memories of it. Its manga series has been equally revered, and this deluxe edition will do justice to the beloved story. In the upcoming Ocarina of Time graphic novel, Link has to undergo a long and dangerous quest in order to find the spiritual stones that hold the key to the Triforce. Then he has to deliver them to Princess Zelda and defeat the Great King of Evil himself: Ganondorf. The stakes couldn’t be higher, because whoever controls the Triforce could easily rule the world! This Legendary Edition kicks off a new series of 2-in-1 releases of the 10-volume fantasy adventure. In this one, parts 1 and 2 will be contained in an oversized format, and they will feature new covers and artwork by renowned manga series creator Akira Himekawa. Don’t miss out on this fantastic edition of the best Zelda story ever The Legend of Zelda: Legendary Edition, Vol. 1: Ocarina of Time! It will be out just in time for the holidays, so preorder it now and save 30% for yourself and for everyone you know who loves video games, engaging fantasy worlds, and thrilling adventure! Next article Review: Doom Patrol #1 — Gyros. It’s all about Gyros.